If you write it, they won’t come. If you market it, however, you’ve got a fighting chance. This advice is true whether you self-publish or go with a traditional publisher. Writing your book isn’t enough. Putting it on a bookshelf isn’t enough. You’ve got to find a way to get readers’ attention so that they pick up or download your book. Fortunately, you’ve come to the right place and destiny is smiling on you, because today we’re going to discuss exactly how to grab reader’s attention via social media. We’re going to focus on the big two (Facebook and YouTube), and give highly actionable advice. Are you ready to dive in? Let’s go! 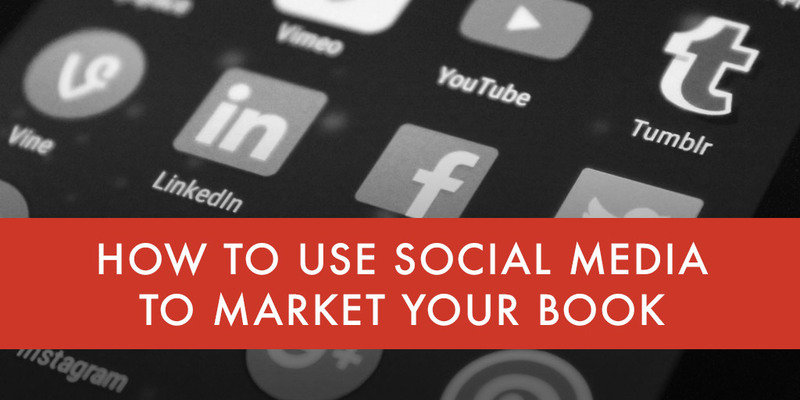 Here’s an actionable checklist of how to easily market your book on social media. Subscribe to receive this extra resource. Immediately after you’ve published your book, it’s time to get into marketing. Here’s an outline of what you need to do to jumpstart your marketing campaign. Do you have any money to market your book? It’s okay to say no. You can still market without making it rain dollar bills. You can totally start with zero, and we’ll show you excellent ways to market your book with and without bank. Marketing will take time. It’s not something you can do in 15 minutes and be on to the next. I recommend setting aside at least one week of full time dedication to getting your marketing strategy in place. You’ll then spend at least a few hours a week in ongoing marketing for the lifespan of your campaign. Do you have a website? The blog you created in 2003 (and haven’t logged into since) doesn’t count. You need a fresh website that tells the story of who you are and why your book is a must-read. It doesn’t have to be fancy or cute (well, maybe just a little bit cute). Simple and minimal is usually the way to go. If you’re not sure who to go with, I’d recommend Squarespace. For around $10 a month, you can create an elegant but easy to create website. Plus, it’s much easier than WordPress. On your newly minted website, you should always include a biography. Readers want to know about the writer behind the book. Add a photo of yourself. That’s right—not your dog, not a beach umbrella, but you. It helps people connect with you. Carry this (or a modified) bio over to all of your social platforms, especially Amazon. You should always include a bio on your Amazon author page. Now it’s time to get started marketing your book on social media. With over one billion users, Facebook is a no-brainer part of your marketing strategy. We’re going to focus strongly on marketing here. If you don’t already have a Facebook page, create one now. You may wonder, is my personal Facebook profile enough? The answer is no. Instead of using your own personal profile, you should opt for a public page for yourself as an author. Why? Unlike a personal profile, a Facebook page is likeable. It’s also easier for searching. Plus, you’ll get other perks like analytics. Another good reason to use this page is that you can concentrate on your book(s) and build up your community around your work instead of your personal activities. Take full advantage of your cover photo. You have 851 x 315 pixels worth of space to market your book. How will you use this opportunity? Use this space to show off an image of your book. You can also promote a tour or giveaway here. Speaking of giveaways, consider using Facebook to host your very own. 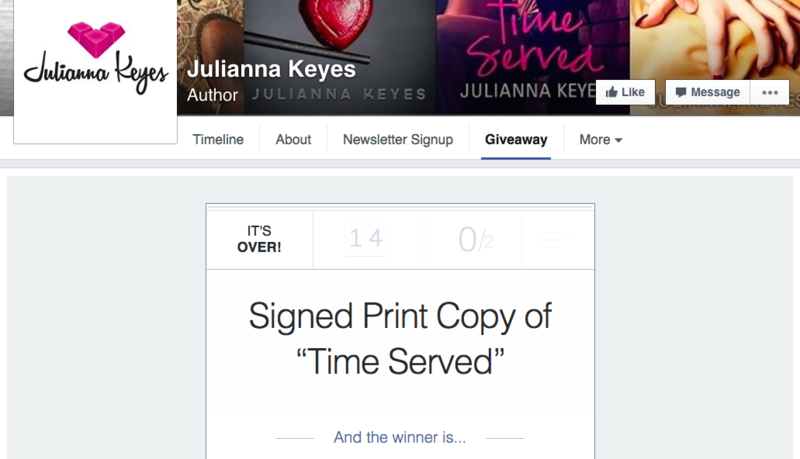 Use an app like Woobox, Rafflecopter, or Shortstack to successfully host a giveaway contest on your Facebook page. Be sure to advertise it on your cover photo space. It’s called social media for a reason. Get out there and be social. Show your face and your personality. Give yourself an interview and show your readers the author behind the writing. People connect with those they can relate to, and this is your opportunity to quickly say, hello. I’m human. Buy my book. It’s called social media for a reason. Get out there and be social. Post a video book trailer. If you have a video book trailer (and you should—we’ll discuss this in greater depth in the YouTube section below), be sure to post it on your Facebook page. Adding a video of your book will increase interest. Plus, Facebook’s autoplay video feature will entice users to pay attention. Reviews are among the best ways to get more eyeballs on your book. Not only can you get in front of the reviewer, but the reviewer may also recommend your book to others. Don’t expect people to automatically review your book. Actively ask for reviews on your Facebook page. That’s just for starters. There’s a plethora of amazing (and thriving) self-promotion Facebook groups that you can join to get the word out about your book. Facebook ads put your book in front of a targeted audience guaranteed. If you can only afford $5 or $10 a day, you may even grab hundreds of new visitors like Buffer did here. On your Facebook ad, include an image of your book and an offer they can’t refuse such as free chapter of your new book. The most important thing is to grab people and bring them onto your page. Your optimized page (if you’ve done what we’ve talked about here) will do the rest. Put your copywriting skills to the test and make sure you use the word “free” in your ad. You want to offer them something in exchange for them visiting your page. Did you know that in terms of search engines, YouTube is second only to Google? Just like Facebook, YouTube has over a billion users. Each day, YouTube videos generation billions of views. 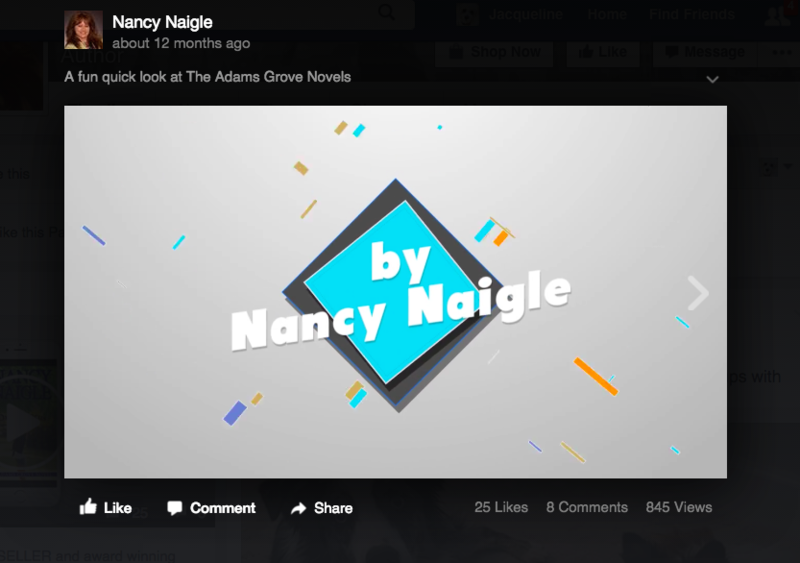 A book trailer is video that advertises your book. It’s similar to a movie trailer, although you don’t have to re-enact scenes from the book. Instead, you use scenery, vignettes, music, typography, voiceover, or all of the above to evoke the same tone of the book. 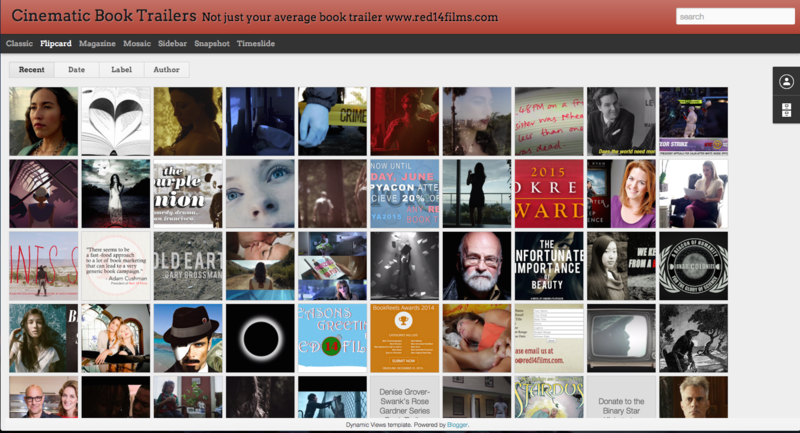 For more inspiration, check out Cinematic Book Trailers. You can create your own trailer with an iPhone, a notebook, and free software. Check out Mandi Lynn’s How to Make a Book Trailer video for a beginner’s video on how to create a book trailer (for free). You have a couple more options: Animoto and Prezi. Although both of these apps have free versions, you’ll have greater flexibility and options if you opt for premium. Don’t forget to add this video onto your website and Twitter. Also upload to Facebook. Marketing your book via social media will take time but it will be worth it. The question isn’t, should I market my book on social media; it’s when can I get started? The time is now. Good luck! Thanks for including ShortStack in this great post! We appreciate it. I created and paid for a book trailer for my first book—The Golden Resume—but it’s hard to tell if it impacted the bottom line. If I had to guess, I’d say that it helped bring awareness to the book and my personal brand. But in terms of ROI, I lost short-term money on making the trailer. Hope that helps someone else considering whether or not to pay for a book trailer. You are correct – I received a good number of Facebook “Likes”. (while I do not have the number right in front of me, it was around 350 – 500… Likes, that is. Regrettably a book on Border Collies (marketed to the USA, Scotland, Ireland and South Africa – all heavy Border Collies countries – and how many conversions to my Facebook “Likes” for my dog book, Kimdog’s Tale? 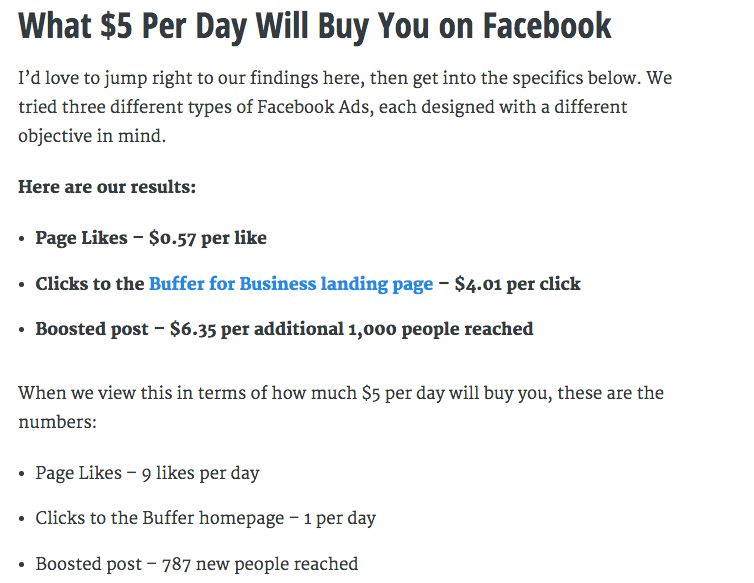 For nearly $65.00 spent on FaaceBook ads – “likes” abound. Sales of a book priced at $4.9? What kind of “reach” would a major book publisher want to see on FB? How valuable is a trailer of the book you are writing to a publisher. Trying to quantify what amounts to “enough” social media to get a book publisher’s attention?